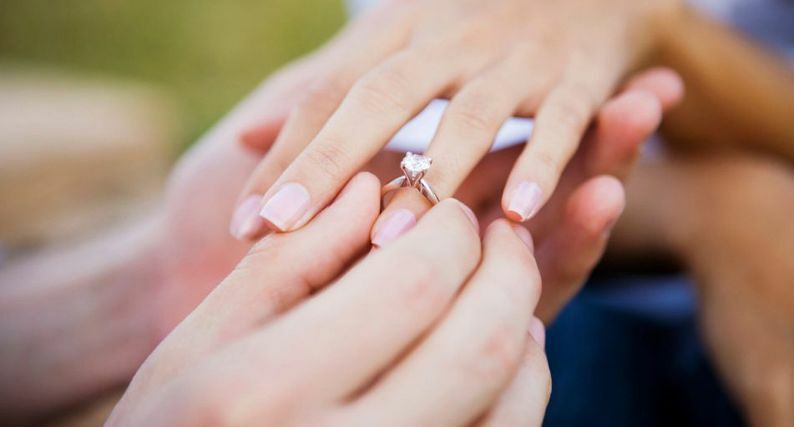 Engagement Ring Insurance: Have you insured that bling? Have you insured that bling? Get a contents insurance quote now! Save 15% – when you buy Smart Contents Insurance online. While insurance isn’t the world’s most romantic topic, beyond a house and a car, an engagement ring could very well be the next big investment people make. If you take into account the famous diamond dealer’s dictum of ‘two month’s salary’ and take the average monthly salary* of $5940, then we’re talking a cool $10,000 on her finger. Claims statistics from Budget Direct show that when it came to thefts or losses of unspecified jewellery items, 13% of claims containing jewellery were underinsured. What’s even less romantic is the look on her face when that beloved symbol of your love is lost or stolen and it can’t be replaced. So just how good are we at insuring our jewellery? Claims statistics from Budget Direct show that when it came to thefts or losses of unspecified jewellery items, 13% of claims containing jewellery were underinsured. The average underinsurance gap, between value and payout was nearly $4000 per claim ($3,936.45). An exclusive Budget Direct survey* found most Australians do not keep records of their jewellery to cover them in the event of loss or theft. The average underinsurance gap, between value and payout was nearly $4000 per claim ($3,936.45). An exclusive Budget Direct survey* found most Australians do not keep records of their jewellery to cover them in the event of loss or theft. It also appears many Australians are unaware of the true value of their jewellery. The survey found more than half (55%) of those surveyed believe the total value of the jewellery they wear on an average day at work or night out is worth under $100. Only 1% of those surveyed would value the jewellery they wear on a night out or to work to be over $10,000. Given that the price of gold has nearly tripled in the past 10 years, perhaps people are underestimating the value of some of their most precious possessions. Get a contents insurance quote now! Save 15% – when you buy Smart Contents Insurance online. You might be surprised how much your engagement ring or piece of inherited jewellery is worth – and while there are some things you just can’t replace, it’s worth getting a valuation. The Budget Direct survey found older Australians are much more likely to secure their jewellery than their potential heirs, with 39% of those aged 69 years and older keeping valuation certificates (compared to 25% of Generation Y and 29% of Generation X). Review your contents policy to work out whether you need to specify items so they’re fully covered. Get a valuation certificate for your valuable jewellery and if possible keep receipts as proof of purchase. Keep the paperwork in a safe place, perhaps one copy at home, another copy somewhere else (e.g. at work) in case of house fire. Update your valuations regularly to check for wear and tear and also changing values in precious metals. *Source: McCrindle Research Survey conducted on behalf of Budget Direct January 2014. 1072 respondents aged 18 and over participated from all states and territories.